Thirty five thousand nurses are injured every year lifting patients, and a Democratic lawmaker wants to do something about it. A proposal by Representative Hazel Rogers of Lauderdale Lakes would require hospitals to track injuries and form committees. The Florida Nurses Association has no formal position on the bill. But Jeanie Demshar, a director, says FNA members are complaining about the problem. But a National Public Radio investigation credited Baptist Health Systems in Florida for aggressive policies that reduced lifting injuries 80 percent. Martha DeCastro, vice president for nursing with the Florida Hospital Association, says Rogers’ bill isn’t necessary. 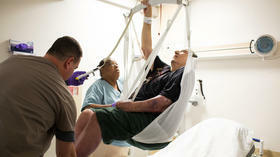 The NPR report says nurses are three times more likely to suffer lifting injuries than construction workers. Copyright 2015 WFSU-FM. To see more, visit http://www.wfsu.org/. 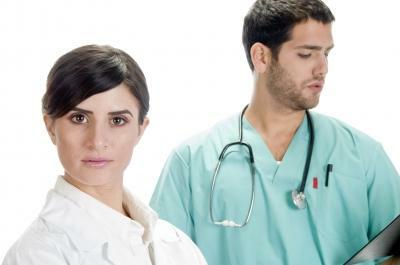 Women outnumber men in the nursing profession by more than 10 to 1. But men still earn more, a new study finds. The report in this week’s Journal of the American Medical Association found that even after controlling for age, race, marital status and children in the home, males in nursing out-earned females by nearly $7,700 per year in outpatient settings and nearly $3,900 in hospitals.